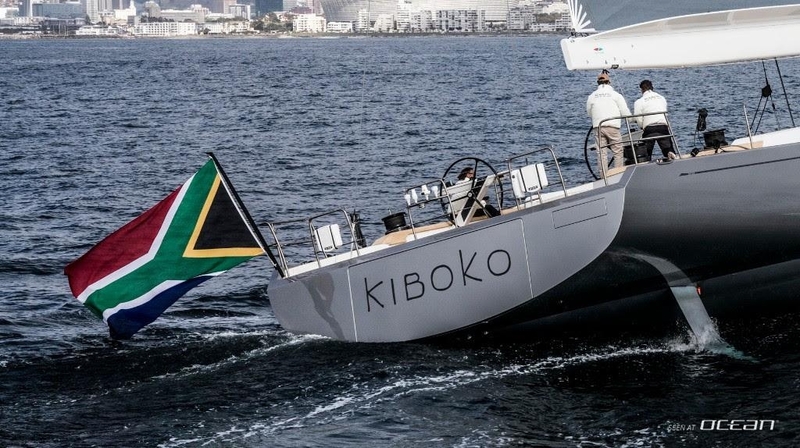 Cape Town-based Southern Wind shipyard launched their second unit of the high-performance cruiser miniseries: the striking SW105 KIBOKO TRES luxury yacht. 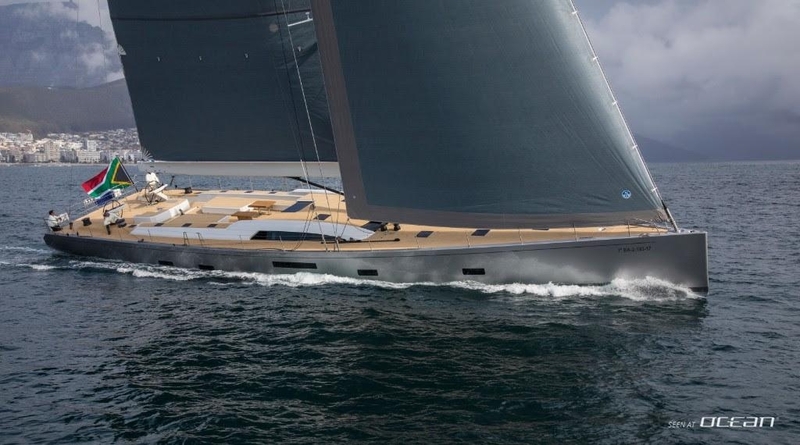 KIBOKO TRES luxury performance sailing yacht has been built for a repeat client who was looking for a high-performance yacht to race within the superyacht regattas as well as a yacht to spend precious time with his large family away from business obligations. 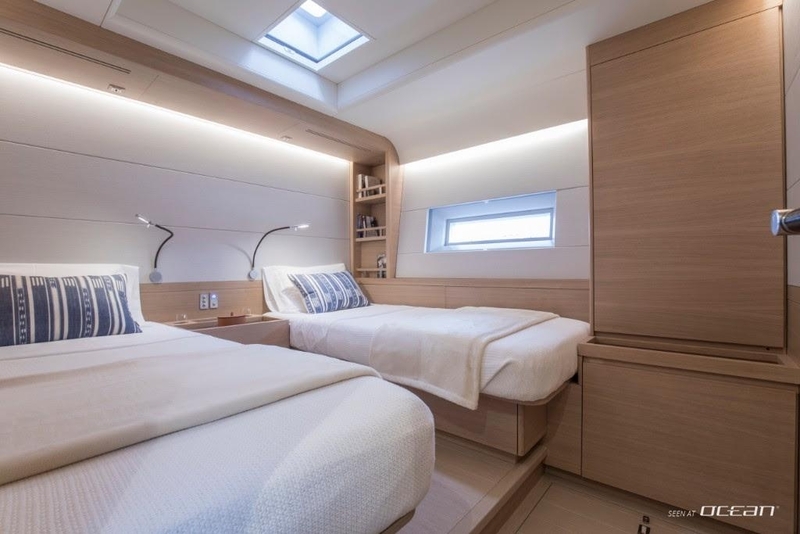 SW105 KIBOKO TRES is the result of the collaboration of Southern Wind, Nauta Design and Farr Yacht Design with the aim to provide an exceptional sailing experience paired with stability and comfort. Having power and speed in her DNA, KIBOKO TRES yacht features more performance compared to hull number one SW105 SATISFACTION. 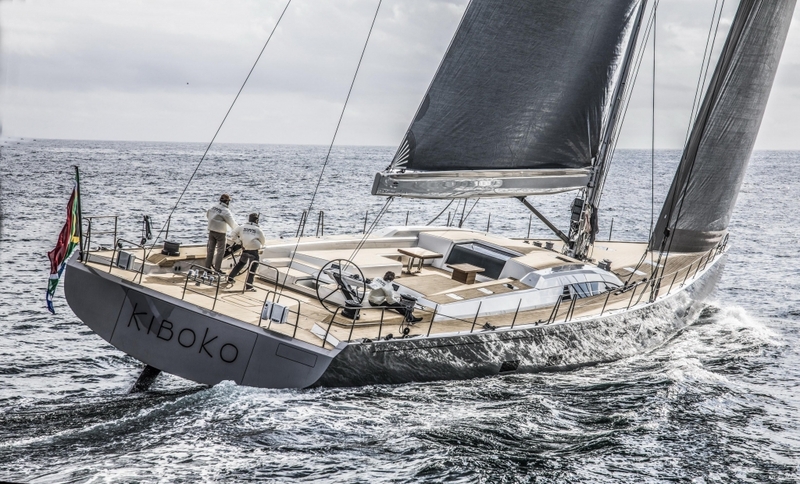 Built of carbon KIBOKO TRES SW105 features wide aft sections, an open transom, twin rudder configuration, increased sail area and the fixed keel in order to provide extra righting moment without compromises to interior layout. The chic and sporty appearance is completed by a removable racing bowsprit, a Mini-Maxi Southern Spars boom and titanium custom deck hardware. The deck is kept clean thanks to a maincheet captive winch and recessed traveller system. The crew cockpit contains all of the sail controls and is separated from the guest cockpit by a wide sunbathing area. KIBOKO TRES Southern Wind yacht offers garage storage for a 4.30m tender and a lazarette storage. 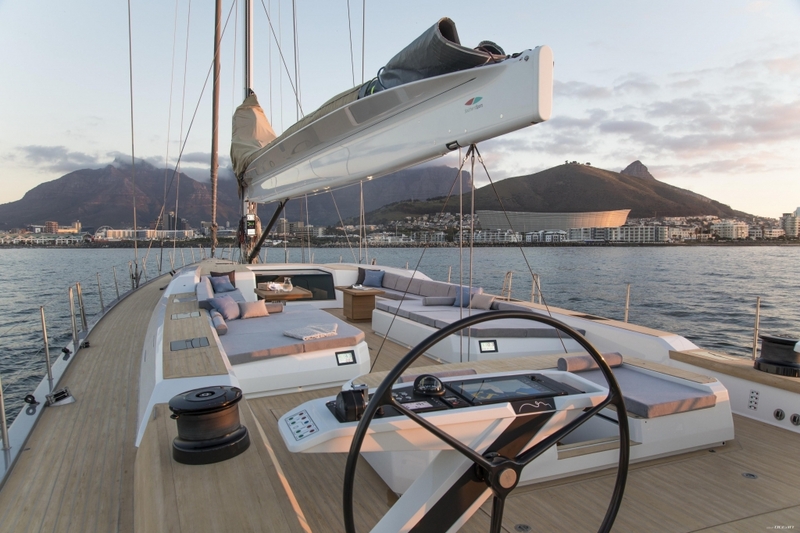 Despite all performance Southern Wind SW105 KIBOKO TRES puts to the fore, Nauta Design managed to design a single level deck keeping the freeboard low without affecting the headroom inside the yacht. 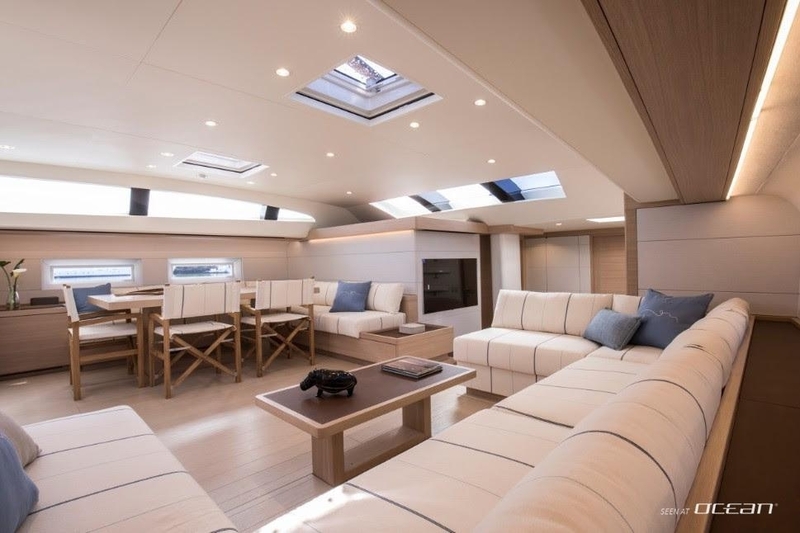 The interior is flooded by plenty of natural light thanks to the raised saloon configuration with large panoramic windows and hull portlights. 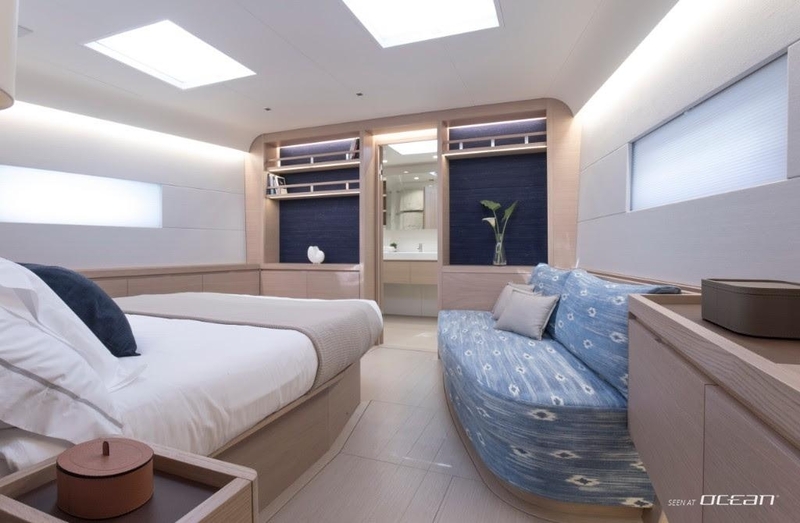 The master cabin is located forward with three spacious guest cabins amidships, all with ensuites. 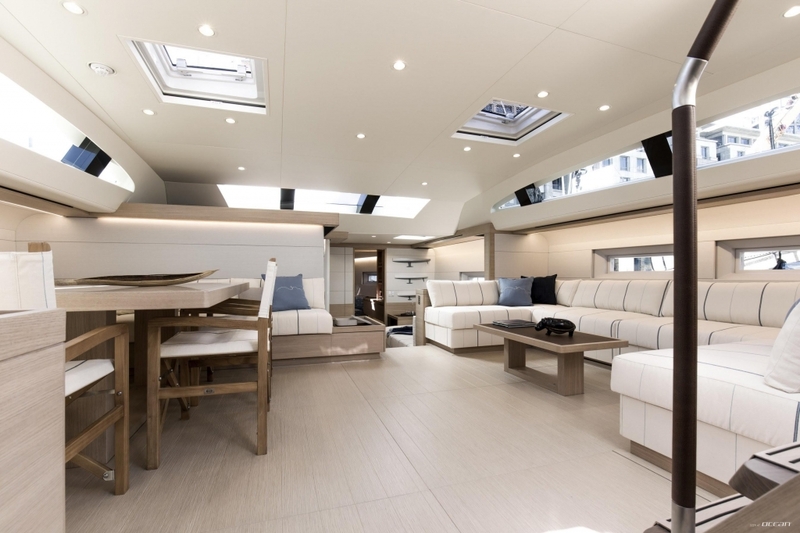 The spacious saloon is located above the engine room and features a forward convertible TV area seamlessly separating the main saloon from the owner's private area. The materials used reflect a modern Mallorcan style with bright oak furniture in combination with white and light blue upholstery. 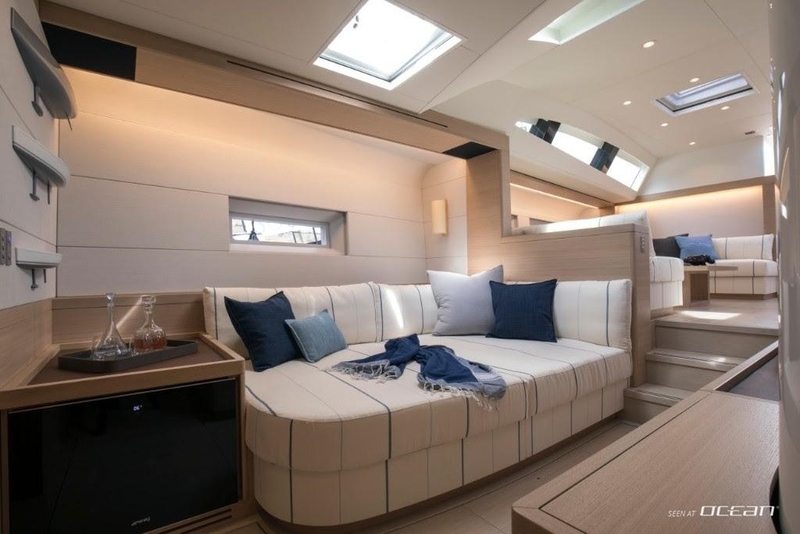 Massimo Gino from Nauta Design adds: “The owner wanted to add some touches from the SW-RP 90 ALL SMOKE and to capture the same sensation of lightness that we achieved on this yacht. “Show, don’t hide” was the key to the interior design, where furnishings, suspended from the yacht’s structural elements, let us showcase the true shape of the yacht and bring out some of the elements of her construction. 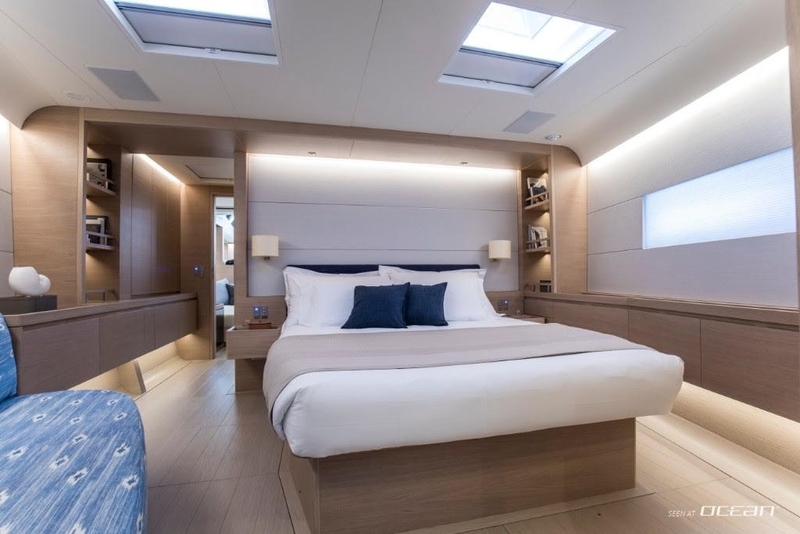 We lightened and simplified the interior furnishings and left the interior hull sides and bulkheads exposed for a result that is beautiful and innovative”. 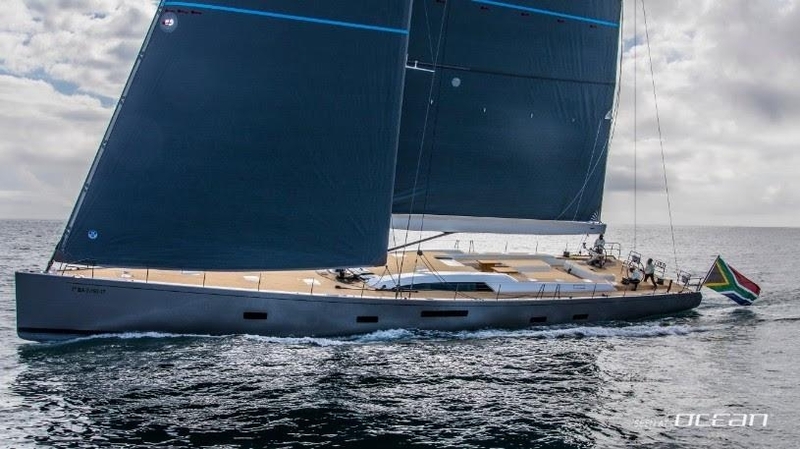 Launched already end of August KIBOKO TRES SW105 high-performance luxury sailing yacht has undergone her sea trials and is setting sails for her Maiden Voyage to Mallorca. KIBOKO TRES yacht is not available for charter. Contact OCEAN for more information on Southern Wind yacht charter.